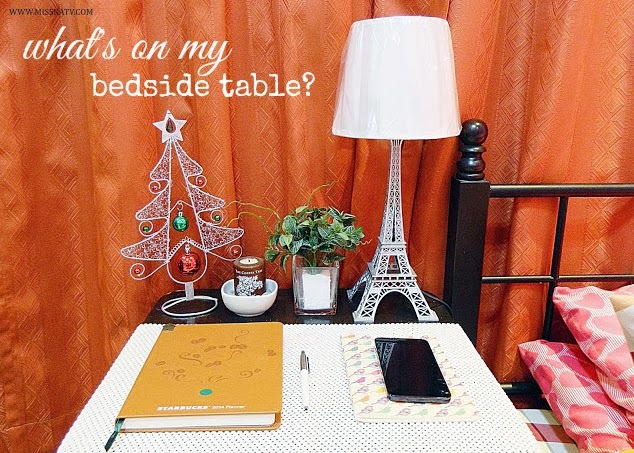 WHAT'S ON MY BEDSIDE TABLE? | misskatv.com: WHAT'S ON MY BEDSIDE TABLE? Hello~! Anyone of you heard about the TV series called GHOST ADVENTURES? It's about a team of 3 guys letting them selves locked up in a haunted place and investigate paranormal activities. I tell you, I'm addicted! Been watching it every single day since I laid my eyes on it. I started watching it from a website called WATCH32, but after a couple of episodes I begin to watch it on youtube coz it loads so much faster. However the selection of episode were very limited and not in sequence. So much for that. I took some photos of my bedside table during the CHRISTMAS SEASON. But it changed this January as I have to remove the SILVER CHRISTMAS TREE and changed it to a little container where I put my night time products. Everything looks pretty much the same except the tree. For me it looks very clean and organized. 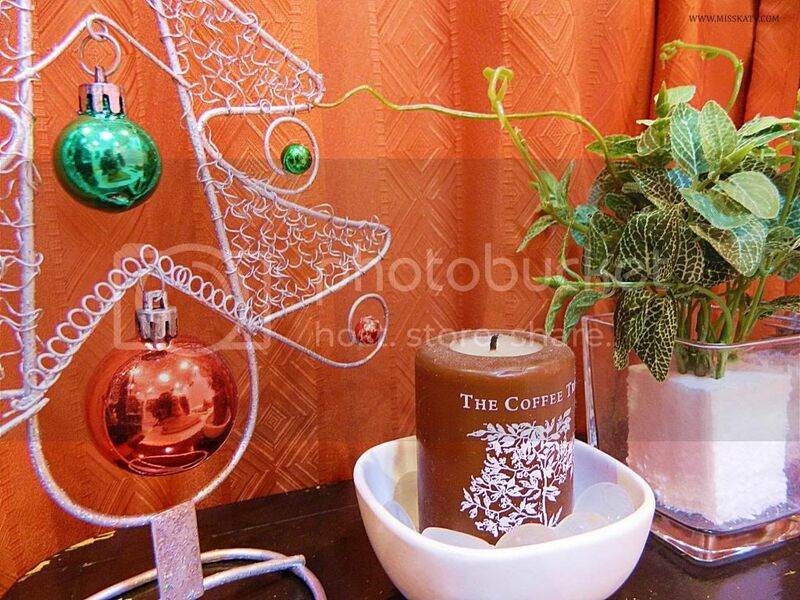 By the way, the tree was gifted to me from work, the candle is from THE COFFEE TREE but originally given to my mom. She's not into candles so she gave it to me. I also got a little fake plant to add some colors and balance the white-silver theme. 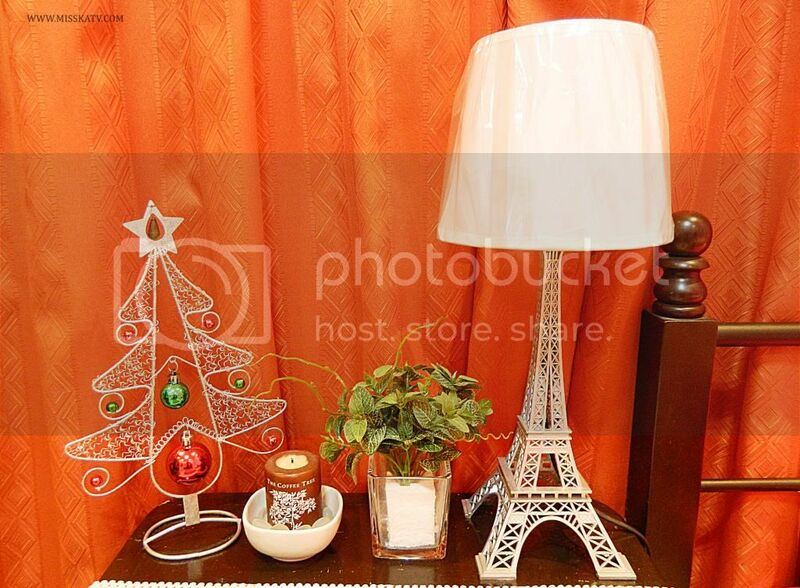 Besides that, I have my favorite EIFFEL TOWER LAMP that was given to me by the boyfie. He got it from Robinson's Galleria for my last birthday. I also made a post about his surprise birthday gift here. The Eiffel Tower lamp looks super pretty when lit up! It's also very useful whenever I write on my STARBUCKS 2014 PLANNER and my little notebook where I write my blogging ideas. I also have my WHITE PARKER PEN that works perfectly with those two. 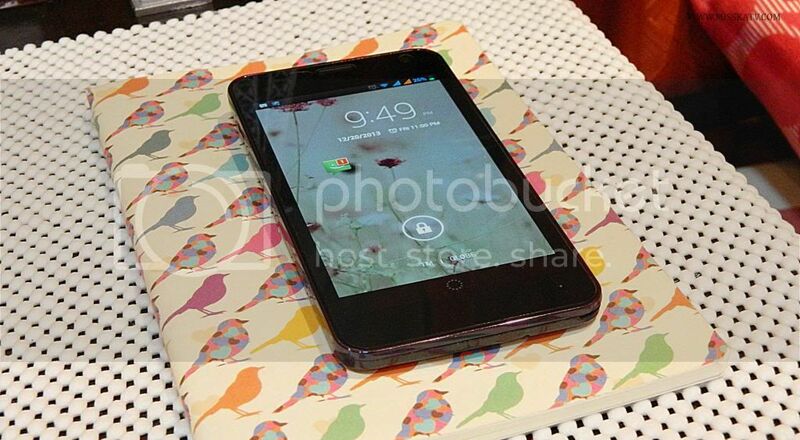 Lastly, my mobile phone which is really useful for everything! You may read my review here if you're interested. Alright! That's all for today's post! I hope you like these kind of posts. How about you? What's on your bedside table? Oh my gosh, I love that TV show! I'm like obsessed with it when I was in high school. :) I've also read the book related to that! :) I have an insane addiction to horror stuff. That Eiffel Tower lamp caught my eye. A statement piece, indeed. I LOVE THAT LAMP!!!! <3 Sobra. i'll be painting my bedside table white soon! baka you have na, you can paint it na lang! saves money pa!